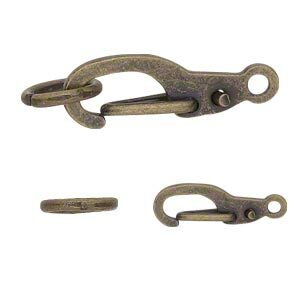 Clasp, self-closing hook, antique copper-finished brass, 11x5mm with 5mm jump ring. Sold per pkg of 12. Item Number: H20-7498FX Have a question about this item? 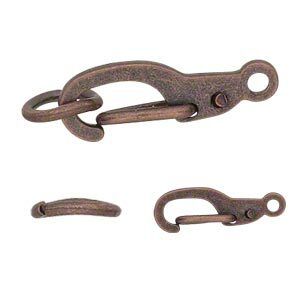 Finish off jewelry designs with finished-brass clasps. 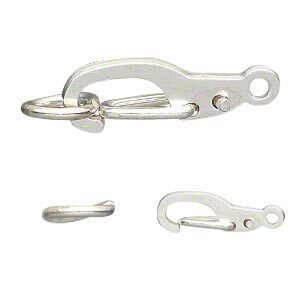 Clasps are machine-cast for consistency. 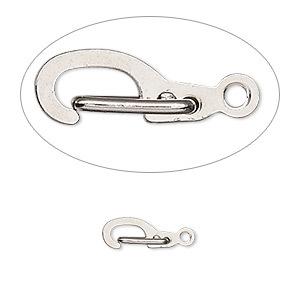 Clasp, self-closing hook, silver-finished brass, 11x5mm with 5mm jump ring. Sold per pkg of 12. 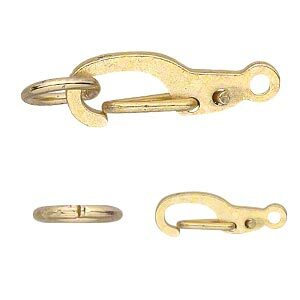 Clasp, self-closing hook, antique gold-finished brass, 11x5mm with 5mm jump ring. Sold per pkg of 12. 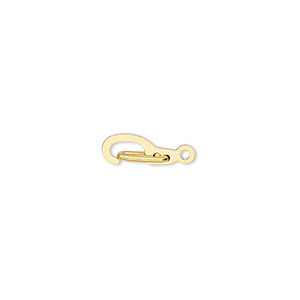 Clasp, self-closing hook, gold-finished brass, 11x5mm with 5mm jump ring. Sold per pkg of 12. 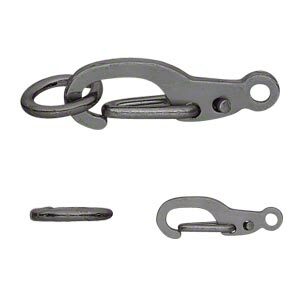 Clasp, self-closing hook, gunmetal-finished brass, 11x5mm with 5mm jump ring. Sold per pkg of 12. 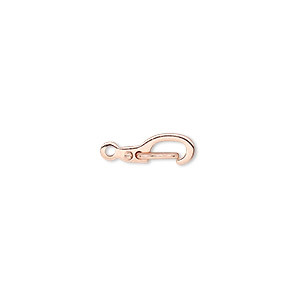 Clasp, self-closing hook, copper-plated brass, 11x5mm. Sold per pkg of 100. 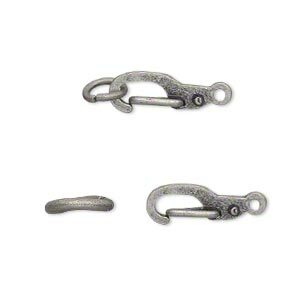 Clasp, self-closing hook, antique silver-finished brass, 11x5mm with 5mm jump ring. Sold per pkg of 12. Clasp, self-closing hook, imitation nickel-plated brass, 11x5mm. Sold per pkg of 100.